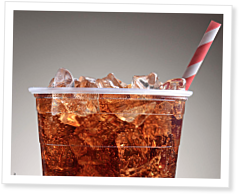 The ingredients in soda are simple: carbonated water, high-fructose corn syrup and sucrose, caramel color, phosphoric and citric acids, caffeine, and natural flavors. The ingredients may be simple, but their impact is profound. Selling this flavored sugar water has turned The Coca-Cola Co., PepsiCo Inc. and Dr Pepper Snapple Group Inc. into multi-billion-dollar companies. As Marion Nestle points out in her exhaustively researched 500-page book “Soda Politics: Taking on Big Soda (and Winning),” the reach of these companies is global. They spend millions to influence health science, drive public policy and affect legislation. For decades, most of Big Soda’s dealings were unseen by the public. Then in August 2015, The New York Times revealed that Coca-Cola funded the Global Energy Balance Network (GEBN), a nonprofit organization dedicated to promoting the idea that the obesity epidemic can be pinned on a lack of exercise, not poor nutrition. The reaction to these revelations, especially from those involved in public health, was swift and negative. The GEBN incident was perhaps the most prominent example of Big Soda’s influence on health science, but it’s far from the only one. “Soda Politics” shows how beverage companies work to influence governments, science and people, and in this interview Nestle details what she uncovered in the three years she spent writing the book. Soda is ruining our health. Think of it this way - 1 small bottle of coca-cola has at-least 16 cubes worth of sugar, that translates into 240 calories. And now take into consideration that at least 1.7 billion servings of coke are consumed DAILY. That is approximately 10 pounds of sugar PER person in the US. That is insane, and now after reading this book ( http://goo.gl/fK5Poi ) I realize just how harmful the products on the shelves are. With the biggest offendors obviously being the previously mentioned sodas. But despite all of the unhealthy chemicals used in most products, it is possible to recover and start fresh, even if you are not in a good shape. You just need to become aware of everything you consume much more. Random ? :Are Crossfit Boxes supposed to discriminate/refuse service from the disabled,recovering alcoholics/addicts,Type 2 Diabetic, and sexually abused who are looking for an outlet to transform themselves physically and mentally? After the Athlete offered the Box's Owner/s a chance to talk to their Doctor/s and share medical records to determine if they're fit enough Physically and Mentally to participate in Crossfit Training(Owner/s declined to take that opportunity), and so the Owner's could see if they could adapt or accommodate.